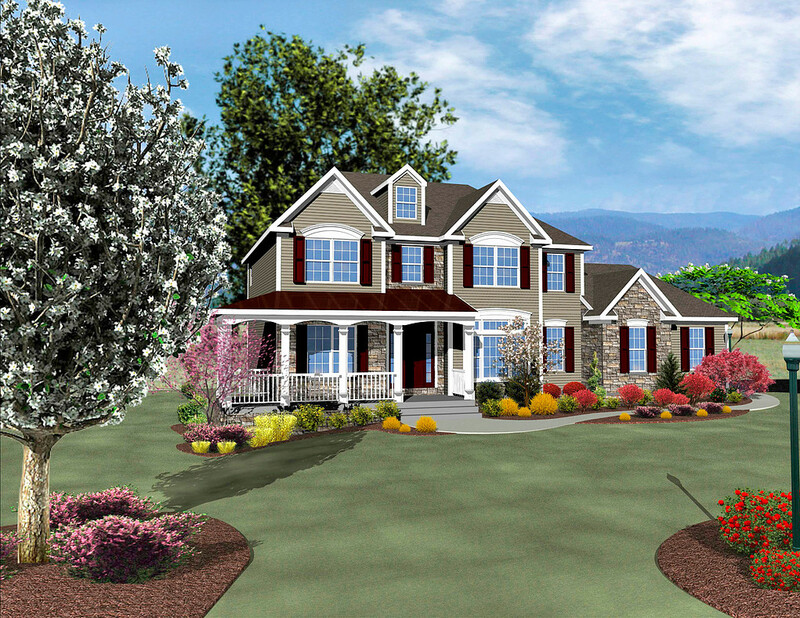 Berks Homes shows that Vertex tools are perfect for designing new house models – even for ABC’s Extreme Makeover! Berks Homes builds homes for a variety of customers; from families looking for their first home to downsizing empty nesters. 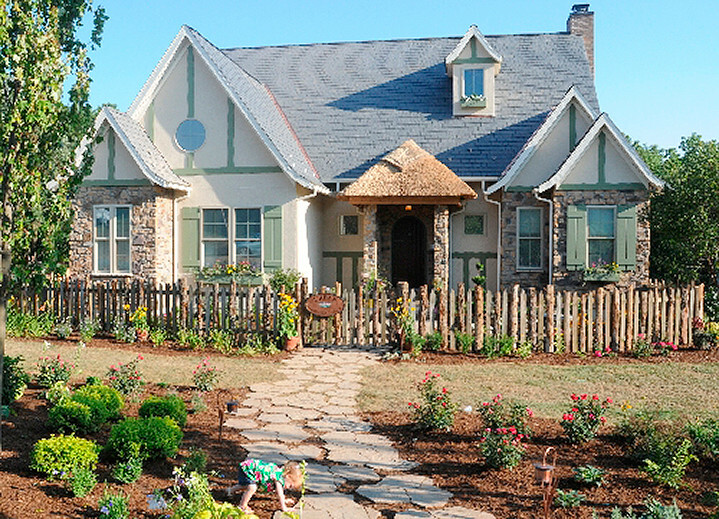 The company strives to provide a highly responsive, courteous, and rewarding home building experience for all of their clients, with a special emphasis on customer service, communication, and reliability. – We have an outstanding reputation in the communities around which we build. Our sales have been strong in comparison to our competitors and we’re in a great position to continue growing, says John Wisner, Director of Production Services. In 2002/2003, Berks Homes was at a turning point. Sales started to increase as the housing market was getting ready to take off, and it was clear that their drafting processes were not sufficient. – We had been using AutoCAD, and had approximately 30+ models drawn, all with 3 different elevations and many options. The problem was we had to put them together as each customer selected their own customized home, based on the options they have selected. There was no easy way to do this in AutoCAD, and it just wasn’t going to be the long term solution for us. We looked into other products such as SoftPlan and Autodesk Revit, says John. SoftPlan wasn’t going to be a fit due to the inability to create multiple elevations within one plan. Revit did not solve options the way we were hoping it would, and the big kicker was it did not mirror or have a mirror command that would flip the house for us. – It just so happened that our IT manager at the time was at the International Builders Show when we started looking again. He happened upon the Argos Systems booth and brought back the information, and a few weeks later had a sales representative in to give us a presentation. Everything Vertex BD offered was exactly what we were looking for and more, it almost sounded too good. We were sold on the spot, John recalls. Vertex BD took Berks Homes to the next level. – We were able to do exactly what we had envisioned for our company within the Drafting Department, John says. The company is now able to design new models with multiple elevations and options, create master sets for their new designs, have trades bid from the master sets, create customer lot specific job starts, and show customers a 3D model of their home as they customize it themselves. The company is also saving hours of drafting time while producing high quality field sets. Earlier this year, Berks Homes was approached by the local Home Builders Association to be involved in a top secret home project for a family in the area. 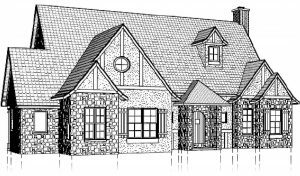 – We were asked to do the drawings for a home that was going to be built for ABC’s “Extreme Makeover – Home Edition” television show. Of course we couldn’t say no. Over a few week time period, I met with a designer from the show and collaborated on the design of the home for a woman who just lost her husband hours before giving birth to their daughter. The show aired in October 2010, John says. – We used Vertex BD with its 3D modelling capability to show them different elevation facades during the design process, as well as interior layouts. Vertex BD helped us produce a home that was going to be built by hundreds of people in a 7-day period. The build turned out great! John exclaims. Berks Homes’ communities feature one and two-story single-family homes and townhomes in a variety of sizes, architectural styles and price ranges. The company offers over 40 models, and features over 2,000 available options to personalize new homes. – With the downturn in the housing market you have to be more creative with your offerings and do whatever it takes to make the customer know we’re the builder for them. We have been doing more with 3D modeling and terrain, entering the grade lines into Vertex BD and placing a home on a specific lot to give the customer a true vision of what their home will look like on that particular lot, John says. – Customization and Visualization are two key selling points you need to be able to give your prospects in today’s market place. Vertex BD has given us that edge over our competition.